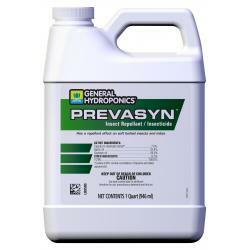 General Hydroponics Prevasyn Insect Repellant/Insecticide is an insect repellant that makes life miserable for bugs. It features concentrated plant extracts and capsicum oleoresin (pepper extract). 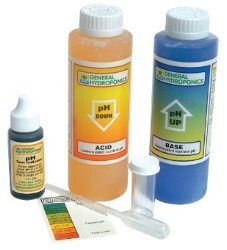 The latter ingredient is the key - soft-bodied insects and mites can't stand its irritant properties. 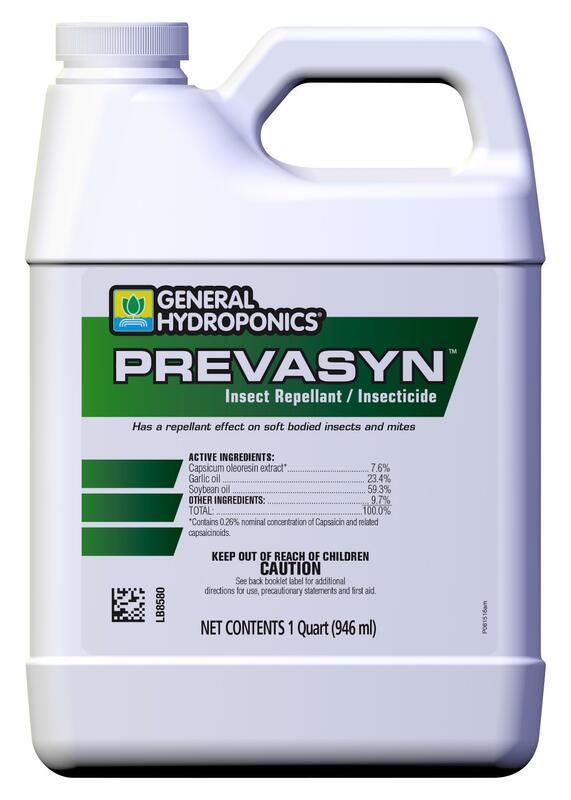 When applied regularly, General Hydroponics Prevasyn Insect Repellant/Insecticide keeps bugs from eating or laying eggs on leaves. 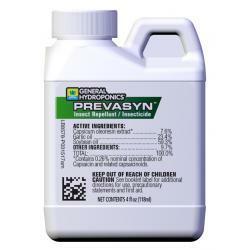 General Hydroponics Prevasyn Insect Repellant/Insecticide is one of the few insect repellants on the market that has both concentrated plant extracts and capsicum oleoresin. 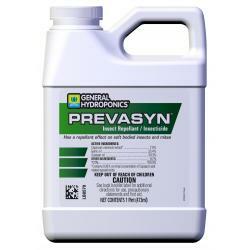 Make it part of your strategy for managing bug problems.